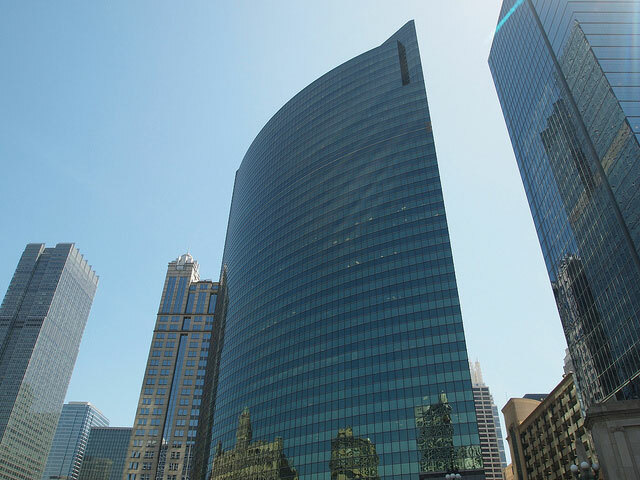 Chicago Architecture Tours: So Much to See! By boat, bus, bicycle, foot, or even Segway, there is no shortage of ways to experience the country's most celebrated architectural metro: Chicago, Illinois. Admired for creativity rather than longevity—the Great Chicago Fire in 1871 destroyed a majority of notable buildings—each tour, no matter the means, showcases the character, ingenuity, and groundbreaking methods that make up Chicago's towering skyline. The number of companies offering these sought-after tours are ample, but the Windy City's architectural history is so spectacularly rich, it's no wonder tourists have many options to choose from. Chicago is known as the birthplace of the Ferris Wheel; boasts the tallest building in North America; features works from modern and classic architects like Mies van der Rohe, Bertrand Goldberg, Skidmore, Owings and Merrill; and also has bragging rights as home to the world's first skyscraper. One company, however, has made it their mission to inspire people to discover "why design matters," according to their mission statement, but also help promote and preserve the buildings that make Chicago so notable. The Chicago Architecture Foundation [CAF], a nonprofit founded in 1966 by a group of residents determined to preserve the H.H. Richardson Glessner House from being demolished, hosts 85 different types of tours to more than 319,000 guests annually while giving back to preserve and promote the city's architecture. 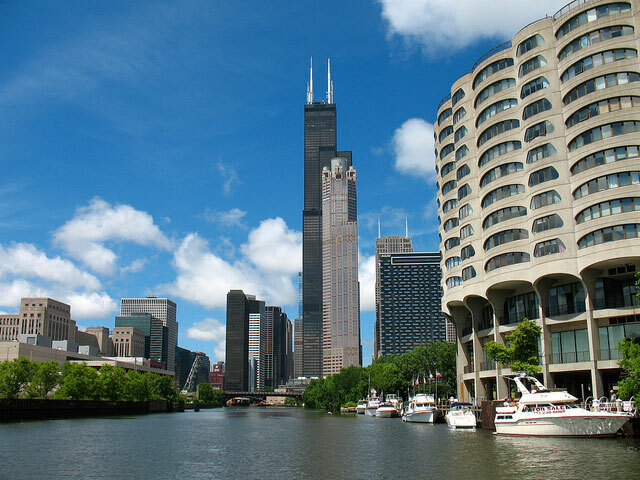 They led their first award winning walking tour in 1970 and kicked off the Architecture River Cruise—the number one architecture cruise in Chicago—aboard Chicago's First Lady in 1993. With their many offerings, visitors to Chicago are sure to find the perfect tour to suite their architectural interests. 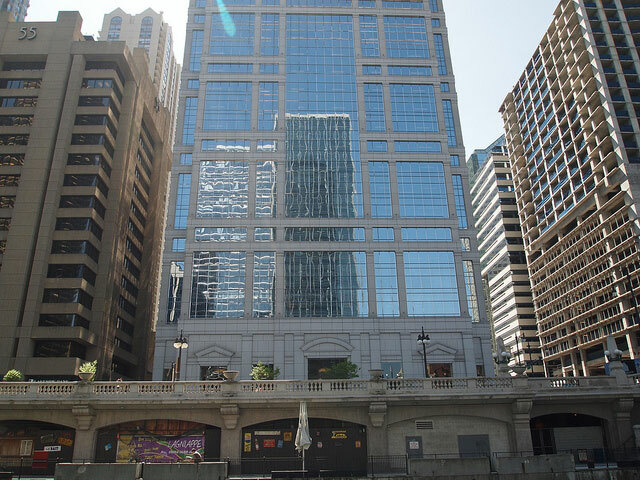 One of the most scenic routes to explore the metro's skyline is aboard Chicago's First Lady on the Chicago River, which flows through the heart of the downtown skyline, passing more than 50 notable buildings dating back to the rebirth of the downtown after the Great Chicago Fire. 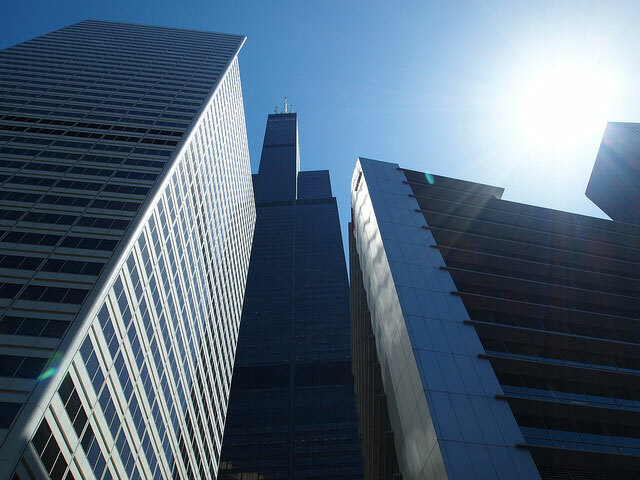 Don't miss the Willis Tower, formerly Sears Tower and home to Skydeck Chicago and The Ledge. At 1451 feet tall, it's the city's tallest building. Volunteer docents will share stories about the John Hancock Center (home to 360 Chicago), Chase Tower, and more. For an extra spectacular view, book a Twilight River Cruise. See the buildings' exteriors come to life with the sunset's reflection lighting up the sky while you sip a cocktail. Or, for the photographer enthusiast, check out the Capture Chicago Photography Cruise every Saturday and Sunday at 9:00am. In the fall, boat tours are offered seven days a week with six different times Friday through Sunday, and three during the week. The Chicago Architecture Foundation offers 70—yes, 70—different walking tours throughout Chicago! Although the ample selections may seem hard to choose from, don't hesitate to ask a staff member to help select your ideal journey. The popular Downtown Deco tour peruses the "lavish materials and geometric ornaments that epitomize the prosperity and optimism of the Roaring 20s," according to the CAF. 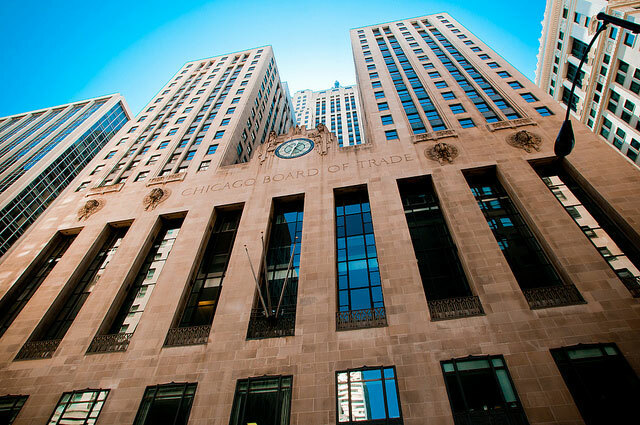 This two-hour walk tour will take you up close and personal to the beautiful details that mark Chicago's historic buildings, like the Chicago Board of Trade Building, One LaSalle Street Building, and many more. Interested in Skyscrapers and how they have changed throughout history? The Skyscraper Walk Through Time explores Chicago's tallest towering structures and shares how the innovative techniques have helped change architecture from past to present. Or, sightsee the full spectrum of the city's architectural pulse with Chicago Old and New: Intersections, a look at architecture from 1870 to present, and how it represents Chicago's unique culture. For a look at each walking tour available and to see times, visit www.Architecture.org. Take to the streets and soak up the skyline with a docent-led bus or trolley ride through Chicago's downtown and historic neighborhoods. Drive through Frank Lloyd Wright neighborhoods or explore the compelling true story told by Erik Larson in the bestselling book "The Devil in the White City." With the holidays right around the corner, take the Holiday Lights, City Lights tour down the illuminated Michigan Avenue aboard a heated trolley and get in the holiday spirit! Tour times vary by season and tour. A fast-paced platform, explore Chicago via the L Train, the second longest rapid transit system in the country, and the ideal vessel to soak up the entire city's history and architecture from the comfort of a train. Choose from Must-See Chicago—a 90 minute tour of Chicago's most famous buildings—or Elevated Architecture: Chicago's Loop by "L", a two-hour tour of the city that also delves into the history of the public transit system. In the sunnier months, CAF's bike and Segway tours are a warm-weather must. As part of the Segway Experience of Chicago, you'll take in Chicago's lakefront architecture and park system on a guided two-wheeled adventure. Limited to only eight guests, this intimate option is an ideal venue to explore Shedd Aquarium, Adler Planetarium, Buckingham Fountain, The Field Museum of Natural History, and much more. Check times and schedules beginning this spring! Still want more of the Windy City? Don't miss the Chicago Film Tour that takes guests through the cinematic landmarks where films like The Dark Knight, Ferris Bueller's Day Off, and The Fugitive were filmed (chicagofilmtour.com). Or, take a tour on the wild side and explore Chicago during the Prohibition Era when legendary gangsters ran the streets of the city. You'll hear stories about Johnny Torrio, Machine Gun Jack McGurn, and more on this gangster-themed excursion (gangstertour.com). Or check out the top museums in Chicago for a unique perspective on Chicago life and history.